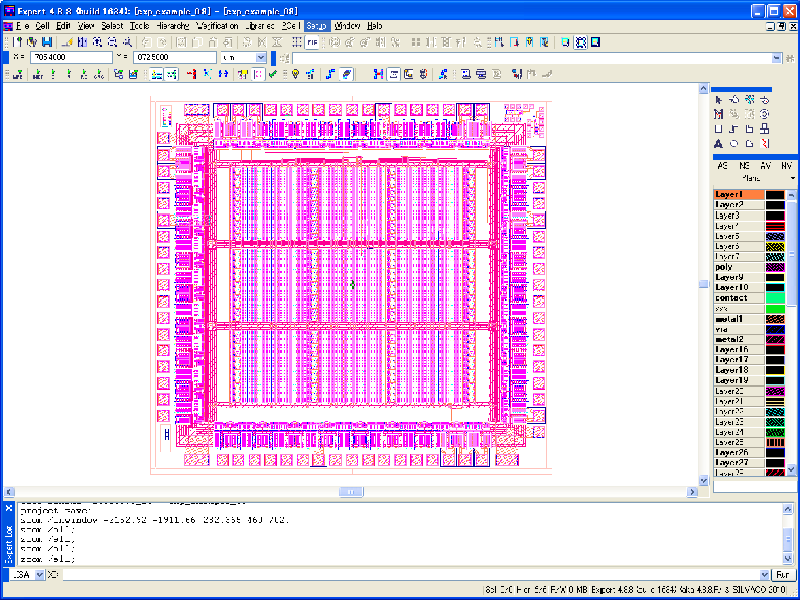 Expert's node-probing is very useful in a hierarchical layout design. It traces connections through the cell hierarchy without any limitation. The extraction of connections becomes much faster using hierarchical processing. It extracts connections on each cell that is specified as a HCELL, which allows use of node-probing in any level of hierarchy, especially during edit-in-place. Load a project file editing_ex06.eld and the top cell ( fig_1.png ). Go to Setup->Technology->Layer Connection Setup . 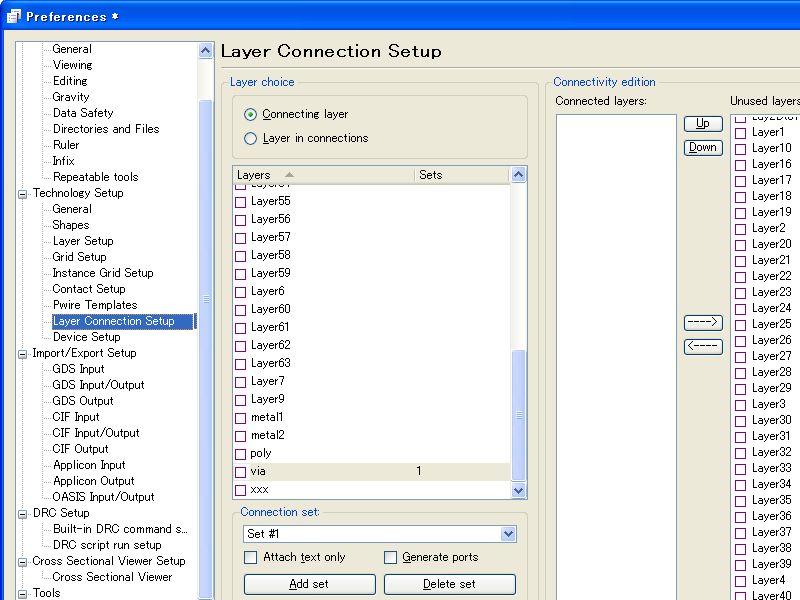 Select "via" layer in the layer choice section, and click "Add set" button. 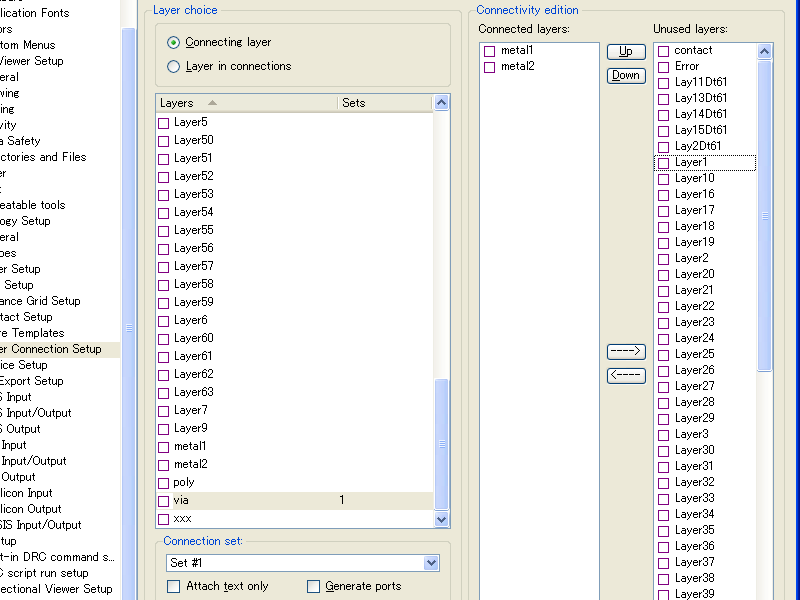 All layers in the technology file will be listed in the "Unused layer" section ( fig_2.png ). 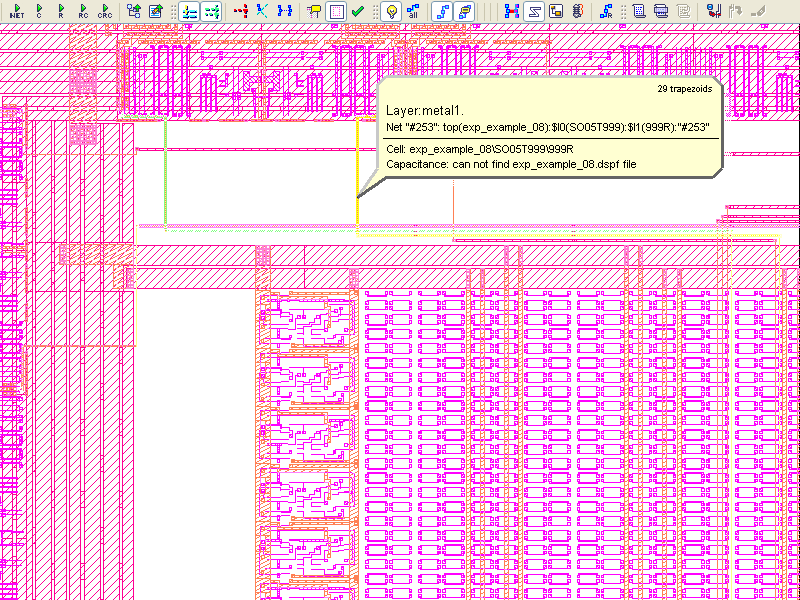 Select "metal1" and "metal2" in the "Unused layers" list, and click "<---" to add them to "Connected layers" list ( fig_3.png ). Take similar setup steps for "contact" layer between "metal1" and "poly". 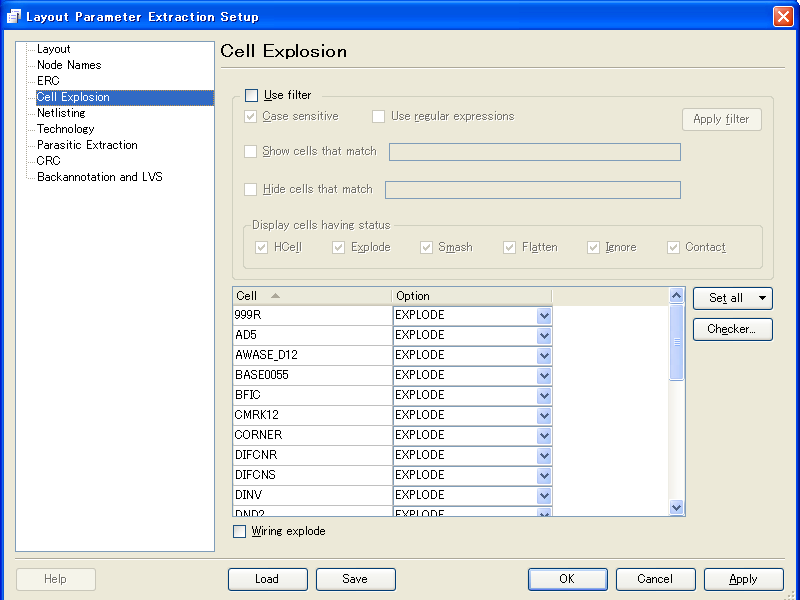 Run Verification->Extraction->Setup command, and open the Cell Explosion page ( fig_4.png ). Click "Set all", and select HCELL in the pull-down menu. 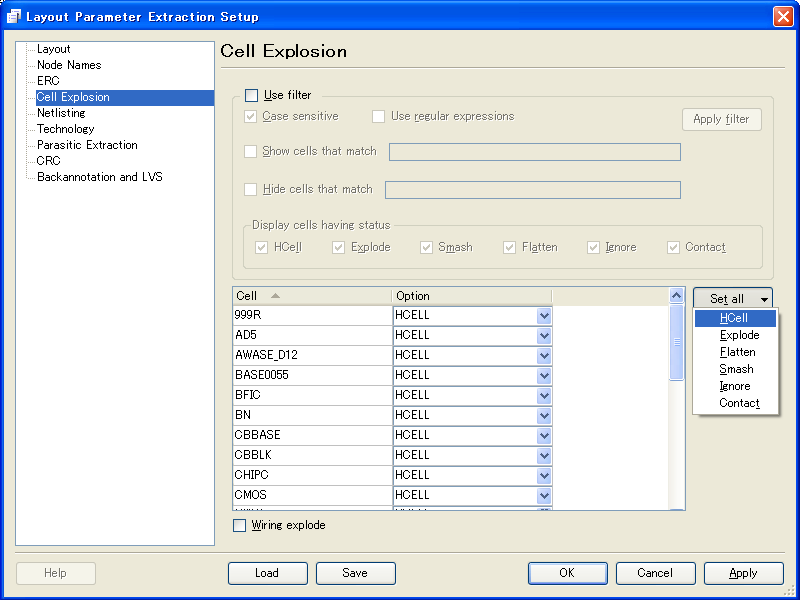 Set all cells to "HCELL" ( fig_5.png ). Make sure that the check box "Wiring explode" is turned off. 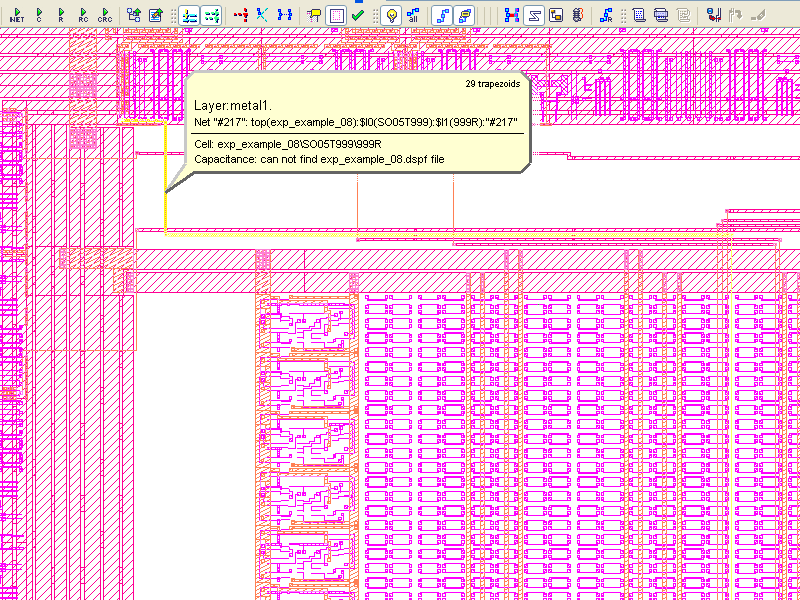 Run Verification->Node-Probing->Pick Node command, and click an interconnect wire or any object in the layout design. The node extraction will be executed at the first picking of the node, and then the probed connection will be highlighted ( fig_6.png ). Click other nodes while holding down the Shift key to highlight multiple nodes ( fig_7.png ). Add some layout objects, then run the node-probing again. 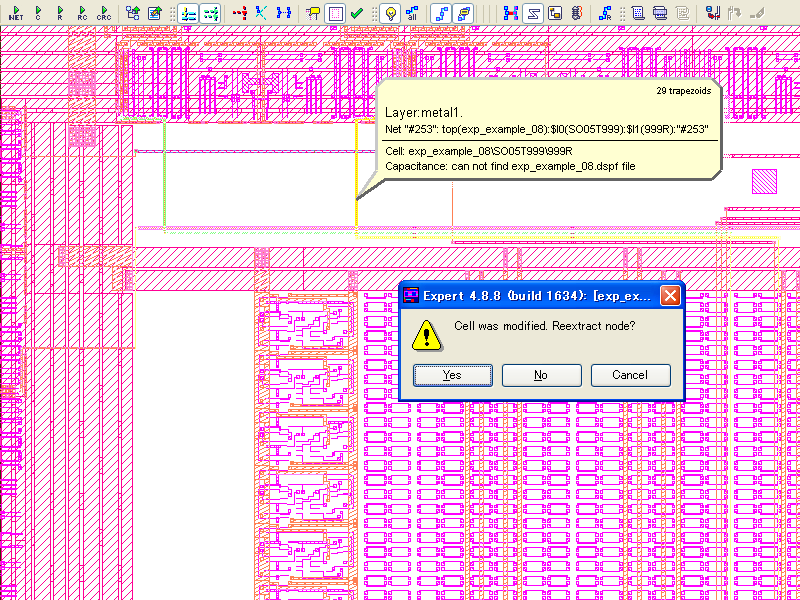 A dialog box will appear to prompt the re-extraction of the connection ( fig_8.png ). Click "Yes" to proceed the re-extraction, and the selected nodes are highlighted.